As of early May nearly 100 Indian corporate entities have expressed interest in the Reserve Bank of India’s invitation for applications for new bank licenses. The application deadline is July 1, and the RBI is expected to issue four or five licenses in what is already a very competitive sector. Since 1993, when Indian banking was opened to private competition, only 12 licenses have been awarded to private companies. Several of India’s large and well-known corporations, such as Reliance Industries, L&T, Mahindra & Mahindra, as well as big industrial groups, such as those owned by the Birla and Tata families, and public-sector financial corporations, such as IFCI and Power Finance Corporation, have expressed an interest in the current application process. A number of prospective applicants have sought clarification on the application rules: For example, requirements that all regulated financial businesses be held in one holding company could clash with other regulations, especially in insurance and asset management. Even as the RBI prepares to introduce more competition in the Indian banking sector, existing players are consolidating. The State Bank of India, the country’s largest bank, is looking to merge its five remaining subsidiaries with the head company within the next year. Three of these subsidiaries, State Bank of Travancore, State Bank of Bikaner and Jaipur and State Bank of Mysore are also listed companies. The bank is being actively encouraged to merge by India’s Finance Ministry, as a merged entity would push SBI up the ranking of the world’s large global banks—it now ranks near 70 by assets. SBI currently has a market capitalization of $28.5 billion and total assets of $365 billion. 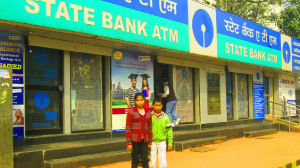 Merging with the three listed banks would increase SBI’s asset base to $411 billion. 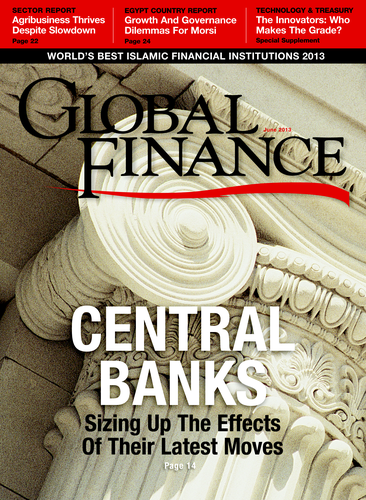 In a surprise move, the RBI reduced its benchmark interest rate a third time this year to 7.25% on May 3. This rate cut followed the 25bps cut in April and a 50bps cut in January. The RBI took action as GDP growth slowed, even as inflation fell following a drop in the price of Brent crude and gold, both of which factor highly in India’s current account deficit.